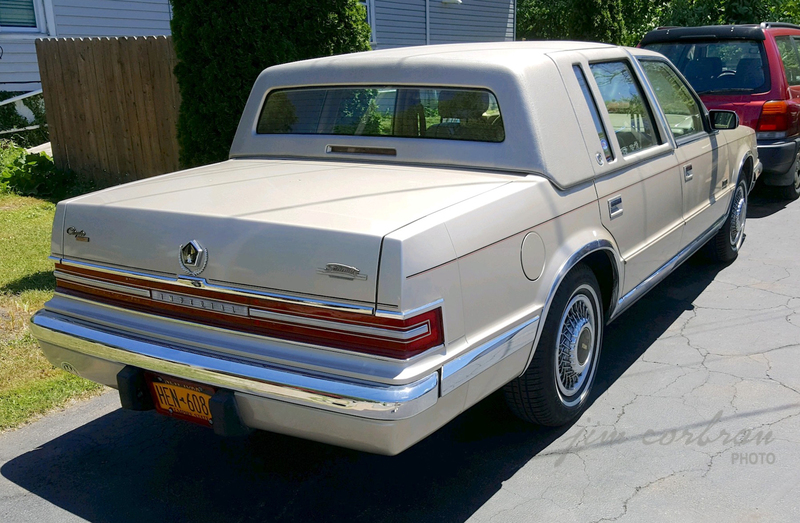 “Electronic speed controls,” “luxurious and spacious accommodations for three rear-seat passengers,” and “all-season steel-belted P195/75R14 white sidewall radial touring tires” were just some of the highlights touted in the brochure for the 1990 Chrysler Imperial. In a page 5 introduction from Lee Iacocca, he tells us that the Imperial is “…a car that’ll make you feel good…when you drive it, or when it’s parked where your neighbors can see.” Yes, it’s another variation of the K-Car, which along with the minivan virtually saved Chrysler from extinction in the mid-1980s. 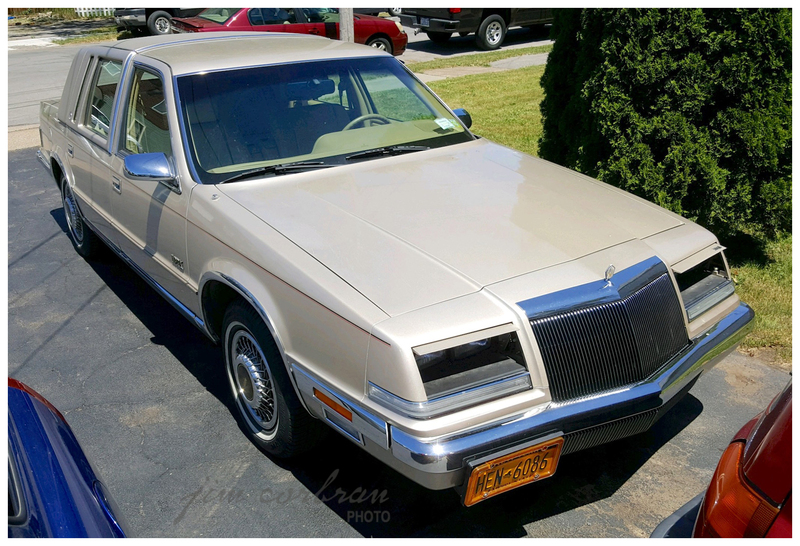 This one’s a long way from earlier Imperials, the likes of which we saw Milburn Drysdale being chauffeured around in on The Beverly Hillbillies, but it’s also a long way from those Plymouth Reliant and Dodge Aries cars on which it’s based. Saw this one last week in Tonawanda.